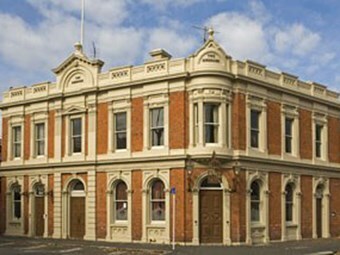 The NZ Transport Agency says it has finalised an agreement to lease the ground floor of the Birdcage Hotel near Auckland’s Victoria Park and it will re-open next Wednesday (20 February) as a bistro. The lease has been finalised with Bruno's Restaurant Ltd, whose principals were the former owners of one of Auckland's iconic restaurants, Iguacu in Parnell. The NZTA's State Highways Manager for Auckland and Northland, Tommy Parker, has welcomed the new era for the heritage building, which was originally known as the Rob Roy Hotel when it first opened its doors in the 19th century. .
"The hotel has served Aucklanders well for 127 years and we're delighted that it will continue to be a social meeting place for the community," Mr Parker says. The Birdcage, which is owned by the NZTA, became the conservation symbol of the NZTA's recently completed Victoria Park Tunnel project. Despite its age and brick construction, the hotel was successfully moved twice during the tunnel's construction. Hydraulic jacks pushed and pulled the hotel 44 metres from its original site. It was then moved back to its original position, which is now located above the tunnel's southern entrance. The NZTA restored the building and landscaped the plaza area in front of it. The lease agreement with Bruno's Restaurant Ltd follows the completion of a comprehensive agreement with Auckland Council and Auckland Transport. The top floor of the Birdcage is leased to commercial interests.